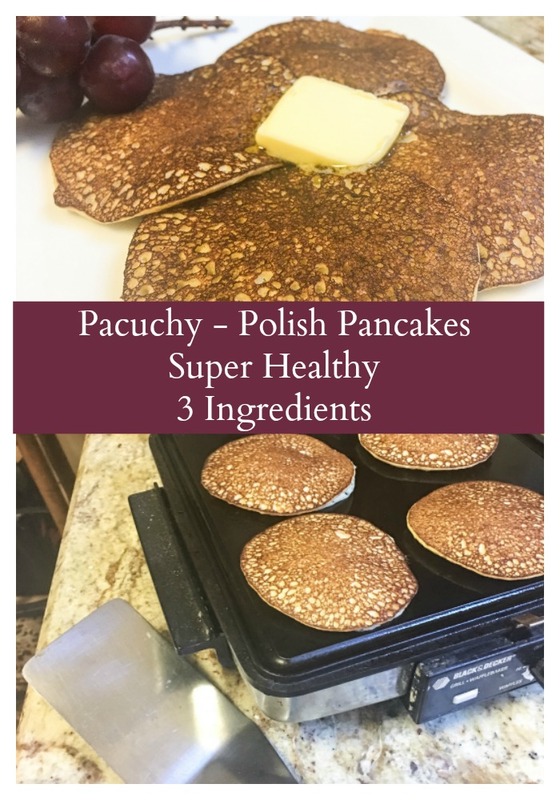 A recent outing with a new friend from Poland brought me this easy to make recipe for Racuchy, a healthy pancake, in this case flavored with banana. Maggi, my source for this recipe, is here for a few months with her two young sons while her husband is training to become an instructor pilot in the F-16. He was one of Ed’s first students in Poznań. I don’t think Maggi and I ever met in Poland, if we did it would have been a brief hello at a the Pilot of the Year Ball, an occasion when I would meet at least 50 new people, Polish pilots and their wives. What can I say? They were all young, very tall, and beautiful; it was hard to keep everyone straight in my mind. Now we’ve had a chance to spend time together and get to know each other. Maggi is brilliant, a woman with multiple advanced degrees, who is a stay at home mom for now, or household manager as she calls it. That’s so true. I work at a large church as the Parish Administrator. Officially, I take care of the business affairs of the church, but the best way I can describe it to some is to say that it’s like I’m the mom of a very large family and we live in a very big old house. Roof leak after the rain, need to register for a conference, order cake for a parish celebration, dead bird in the garden, bills to be paid, my list of responsibilities goes on and on. Maggi asked about the Polish recipes on my blog. I told her what was the most popular, and she gave me this recipe for racuchy. It’s so simple that I could remember it as we chatted while I drove us to our destination, but she followed up with a Facebook message to be sure I wouldn’t forget. I made racuchy (pronounced rat-su-hay) this morning and Ed and I both enjoyed them. To keep challenging herself during her household manager years, Maggi has become a personal trainer and studied nutrition. 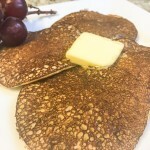 Her recipe has three ingredients, is gluten-free and has no added sugar. The texture is nice, I didn’t miss the structure added by the gluten in wheat flour as I often do. The banana flavor was just right. The butter in the photo? That was Ed’s very American suggestion. Maggi serves hers with berries. 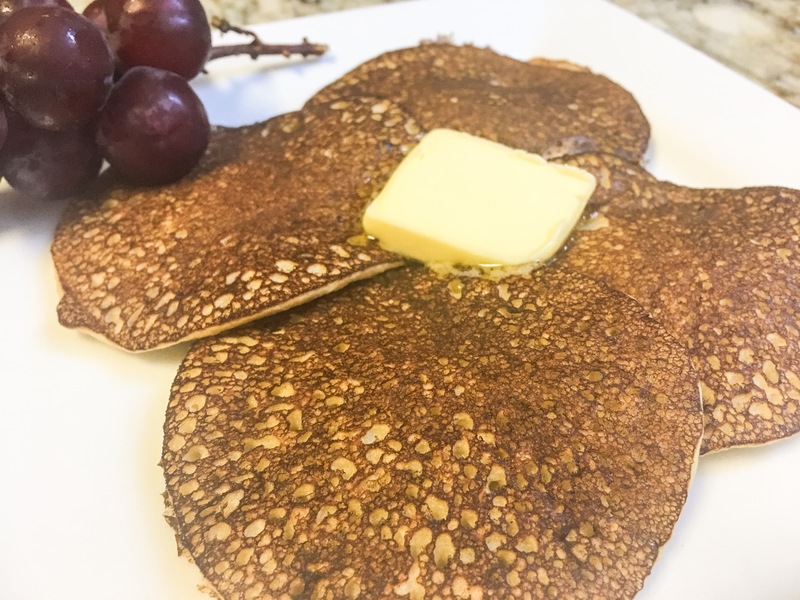 A super healthy, 3 ingredient pancake, with no added sugar and gluten-free! I’ve written the recipe as it was given to me. I only had two large eggs when I made this and my bananas were small, so I used two. It’s forgiving; they were perfect! It was amazingly simple and very tasty! Haha, I’ve been told we have 3/4 of an acre under roof, so it seems like something is always leaking.